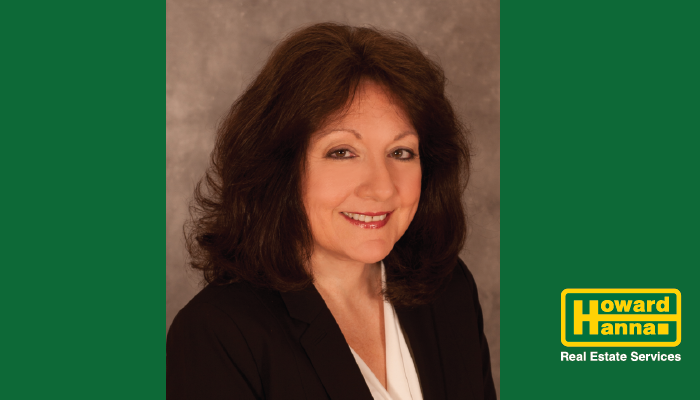 Binghamton, NY (April 8, 2019) – Mary-Ann Morehouse has been named Regional Manager of Howard Hanna Real Estate’s Southern Tier region. As a native of the Finger Lakes Region, Morehouse appreciates the quality of life in the Southern Tier of New York. After first investing in real estate, she became a licensed Realtor in 1999 and found fulfillment in helping others build wealth and achieve their American Dream of home ownership. In 2005, Morehouse joined the leadership team of RealtyUSA.com, now Howard Hanna Real Estate Services. She currently manages the Howard Hanna Corning and Horseheads real estate offices and highly values the relationships she has developed with her agents, clients and customers. “I am excited about my new role and appreciate the opportunity to make a positive impact on the region. I am proud to work for a family-owned company that is built on a long-standing tradition of excellence, integrity, and innovation,” said Morehouse. Morehouse is a graduate of Elmira College with a Bachelor of Science degree in business administration. She is very active with Elmira-Corning Board of Realtors and is serving as the 2019 President. Also active in the community, she serves on the board of directors for the Corning-based Three Rivers Development Corporation, which focuses on business development initiatives for several surrounding counties. Additionally, she is a member of the Corning Housing Partnership, whose goal is to improve the housing stock in the City of Corning by offering assistance to both homeowners and property owners. For all of your real estate needs or to join the Howard Hanna Southern Tier team, Mary-Ann Morehouse can be reached in the Horseheads office at 607-739-1444 or via email at maryannmorehouse@howardhanna.com. About Howard Hanna: Howard Hanna Real Estate Services is the 3rd largest real estate company in the United States, the #1 privately owned broker in the nation, and the largest home seller in Pennsylvania, Ohio, and New York. The family-owned and operated real estate company specializes in residential and commercial brokerage service, mortgages, closing and title insurance, land development, appraisal services, property and casualty, corporate relocation, and property management. With 312 offices across PA, OH, NY, VA, MI, WV, MD, and the Carolinas, more than 11,000 sales associates and staff are guided by a spirit of integrity in all aspects of the real estate process. For more information, visit www.howardhanna.com or www.facebook.com/howardhanna.